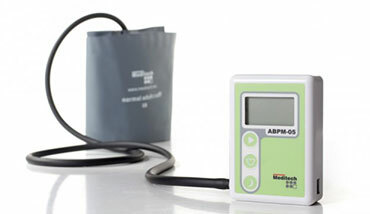 Ambulatory blood pressure monitoring (ABPM) measures blood pressure at regular intervals while your child is having regular activity either at home or school. This test is able to reduce the white coat hypertension effect in which blood pressure is elevated during the examination process due to nervousness and anxiety caused by being in a clinical setting. This test is considered as the most accurate non-invasive method of assessing children with high blood pressure to determine if it is truly hypertension, which will need medical treatment.